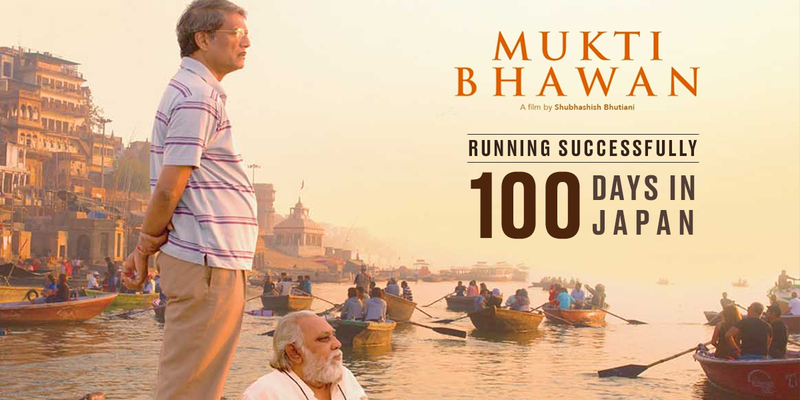 Entering the 15th Week, MUKTI BHAWAN titled GANGES NI KAERU in Japan has been winning hearts of critics and audience, completing 100 day run in Japan. A rare phenomenon, for an independent film, probably the first from India to achieve this. Deborah Sathe, Director-International Operations of C International Sales, who represented as exclusive worldwide Sales Agents for the film said, “It brings the team at C International Sales such pleasure to see Japan greet HOTEL SALVATION as enthusiastically as so many territories have already done. The sales team will be going to the Berlin Film Festival with only a few territories remaining on this extraordinary Indian story. It’s been a total pleasure to work with the Red Carpet team and Cinestaan Film Company look forward to doing more with them in the future." The film Premiered at the prestigious 73rd Venice International Film Festival 2016 to a 10-minute standing ovation, winning the UNESCO Gandhi Medal and the XXIIRD “ENRICHO FULCHIGNONI” UNESCO Award. It has found distribution in over 60 countries, released in over 30 countries and won over 30 International Awards Including Best Screenplay at Jio Filmfare Award for Best Original Screenplay and 2 National Awards in 2017.